As the discussion on the Declaration of the Post-2015 Development Agenda gets underway, differences between developing and developed countries that are likely to loom over the rest of the Post-2015 negotiations became clearer. The draft political Declaration is to set the framework for the Post-2015 development agenda and spell out the broader common principles, commitments and objectives that the agenda is founded on. A first discussion took place at the UN headquarters in New York on 16-20 February 2015 on an Elements Paper circulated earlier by the Co-Chairs of the Post-2015 Process, Ambassadors David Donoghue (Ireland) and Macharia Kamau (Kenya). After the elements discussion, an outline of the draft Declaration was considered by Member States. At the Open Working Group (OWG) on Sustainable Development Goals (SDGs) that worked in 2013-2014, intense negotiations resulted in the Chapeau to the Goals. The Chapeau was based on considerable discussions during the one and a half years’ tenure of the OWG, and is part of the Report on SDGs that has been agreed to by the full General Assembly as the basis of the Post-2015 Declaration. However, it has been clear from the start that we are going back to the drawing board for the Declaration where significant and agreed elements of the OWG Report, including the agreed Chapeau, are being challenged. For example, the principles of Common but Differentiated Responsibility (CBDR), and of Universality but with Differentiation were both contested by several developed countries. On the other hand, new configurations including the six elements of the Synthesis Report of the Secretary-General on the Post-2015 Agenda, not agreed to as such by Member States, are now put on the table by developed countries. Means of Implementation (MOI) and a Global Partnership for Development led by governments were hardly mentioned by the developed countries while multistakeholder partnerships with a downplaying of the roles and responsibility of governments, especially those in developed countries, was a recurrent theme. The key role of the private sector, challenged repeatedly by most civil society organisations, continues to be echoed again and again. The emphasis from developed countries, following the Declaration’s Elements Paper that was debated by Member States, seemed to be on having a simple and communicable Declaration. In contrast, developing countries, represented by the Group of 77 and China and groupings of the Least Developed Countries (LDCs), the Small Island Developing States (SIDS) and the African Group, repeatedly demanded that the SDG document be respected and that the key principles already recognised must underpin the Declaration. CBDR is one such principle that was most mentioned. Adhering to the agreed principles set in the Rio processes is necessary, according to many developing countries. While most developing countries showed a willingness to discuss the essential six elements suggested by the Secretary-General (S-G)’s Synthesis Report, they reiterated that the SDGs should be the basis of the Goals and targets of the Post-2015 Development Agenda as agreed in the General Assembly last year. Most of the developing countries, the LDCs and SIDS wanted poverty eradication to be recognised as the primary objective of the agenda and reiterated the importance of Means of Implementation and the Global Partnership for Development. Several developing countries mentioned human rights including the right to development. Many statements while recognising the need for a simple and communicable declaration, cautioned against over-simplification of complex and multilayered concepts that must underpin the Declaration and strengthen the commitments that will help the global community deliver on this agenda. The next version of the Draft Declaration is expected to come out before May and further discussions on the Declaration will take place any time before July. The Elements Paper was circulated earlier by the Co-Chairs to be a basis for discussion on the Declaration. The Paper is divided into several segments: a collective vision of the road to 2030; what we must do to get there; how we will do this; follow-up and review; our commitment; and final call to action. It recognises poverty, climate change, the degradation of the natural world, inequality within and between countries, vulnerability and exclusion, institutional failures, economic/social/environmental shocks and challenges, including those undermining peaceful and just societies. However, the Paper has already been criticised for some big misses. It has also been pointed out by analysts that while the Paper was framed (in part) by the six elements in the S-G Synthesis Report, it fails to even once mention the SDGs, discussed and agreed in the OWG in July 2014 and agreed to by Members as the basis for the General Assembly negotiations in the Post-2015 process. Again there seems to be an attempt in the Elements Paper to reclassify the goals into three categories: those that are nationally defined; global targets to apply universally; and goals that “leave no one behind” but at the same time “balance and integrate the social, economic and environmental dimensions”. Any attempt to reclassify could also lead to the danger of opening up the SDGs or to prioritise some goals over the others, a concern expressed by several civil society analysts. In defining “How we will do this”, the paper dissociates the Global Partnership for Development from MOI whereas the former’s role was to facilitate the latter. Bissio argues that the Elements Paper reduces the Global Partnership for Development to an “enabling environment” to be created by national governments in developing countries where “multi-stakeholder partnerships”, obviously led by the private sector, can then flourish. This can exonerate the developed countries of responsibility towards helping developing countries to achieve the SDGs. The Group of 77 and China (G-77) thanked the Co-facilitators for the Elements Paper and noted that the declaration must be contextualised around values and principles that continue to rally the international community, and address the current fundamental challenges confronting humanity, in particular poverty with its multi-dimensionality to ensure equal opportunities for all. Moreover, the declaration must also call for concrete steps to implement the post-2015 development agenda. The Group highlighted that the declaration must draw from agreed outcomes of previous Summits and processes. The G-77 wanted a declaration for an ambitious and transformative and action-oriented sustainable development agenda that is “guided by the Rio principles, in particular the Principle of Common but Differentiated Responsibilities. In our view, there can be no re-negotiation of this seminal principle for international cooperation on sustainable development. In this regard, the declaration must recognise the criticality of balancing the universality of the agenda with differentiation, to acknowledge the different responsibilities, capacities and circumstances among countries that continue to pose challenges for the realisation of development aspirations by the developing countries”. The Group noted that through the declaration “our leaders could use the occasion to reaffirm the commitment of the international community to all human rights and strengthen our commitment to the right to development, including the right to acceptable standard of living”. Furthermore, the declaration should emphasise the importance of territorial integrity, sovereignty and policy space to allow member states to adapt the Sustainable Development Goals and targets to national development plans and strategies. Accordingly, the declaration should reaffirm that poverty eradication is the greatest global challenge and logically an indispensable requirement for sustainable development. The Group underscored the special challenges facing the most vulnerable countries in achieving sustainable development. The G-77 reiterated the view that “the success of the post-2015 development agenda will largely hinge on the Means of Implementation and continued development assistance to the developing countries. “In this regard, the declaration should clearly state the need for the United Nations and developed countries to support developing countries in implementing the post-2015 development agenda through the much-needed Means of Implementation, including through mobilisation of additional resources, increasing market access, facilitating technology transfer on concessional and preferential terms and strengthening capacity-building. The Group maintained that the declaration should emphasise the need for fundamental changes in the way societies produce and consume, which are indispensable for achieving global sustainable development. “Our longstanding view as the Group of 77 and China has been that all countries should take action, with developed countries taking the lead, taking into account the development and capabilities of developing countries,” the Statement stressed. Benin, on behalf of the LDCs, said that the Group wants a Declaration that is “concise, visionary, ambitious, actionable and communicable and simple, which is action-oriented and understandable by all”. The Group reminded that the collective vision for 2030 is poverty eradication and tackling multidimensional challenges of climate change and environmental degradation, iterative economic and social crises and widening inequalities. “As regards our group, being at the bottom of the ladder of the development scale, and standing to gain from the higher awareness of common humanity with the highest possible ambition … the Declaration should emphasise the principle of ‘leaving no one behind'”. The Statement also highlighted Principle 7 about CBDR “which is the basis for the principle of preferential and differential treatment of LDCs which should guide the implementation of the Post-2015 development agenda”. The Group wanted a reaffirmation of the Istanbul Programme of Action. The Group further wanted a substantive increase in LDC’s share in ODA (Official Development Assistance) and strengthening of their voice and representation in institutions of global governance. The LDCs reiterated their support to the SDGs and targets adopted by the General Assembly and wanted a clear reference to the SDGs as the backbone of the Agenda, while recognising the nature of the elements in the S-G Synthesis Report on which it was ready to discuss more. Mozambique, on behalf of the African Group, expressed their concern with the way MOI was reflected in the paper. MOI should include, among others, trade, finance, technology transfer and global partnership. Also, it is important to incorporate the outcomes of the Third International Conference on Development Financing in the Post-2015 Development Agenda. Moreover, the Declaration should reaffirm the principle of “common but differentiated responsibilities” as stated in the “Future We Want” document, said the Group. The Common African Position outlined Africa’s development priorities grouped into six pillars, namely structural economic transformation and inclusive growth; science, technology and innovation; people-centered development; environmental sustainability, natural resources management and disaster risk management; peace and security; and finance and partnerships. Mozambique highlighted that poverty eradication and sustainable development will not be achieved as long as the questions of peace and security are not properly dealt with. According to the African Group, the declaration should incorporate the specific needs of different groups of countries, namely African countries, LDCs, SIDS, LLDCs (land-locked developing countries) and middle- income countries. It also reiterated the carry-over of the unfinished business of the Millennium Development Goals (MDGs) in the new global development agenda, underscored poverty eradication as the central objective of the Post-2015 agenda and called on development partners who are yet to honour their commitments to developing countries to deliver on the agenda. Belize, on behalf of the Caribbean Community (CARICOM), acknowledged the useful elements that had been provided and noted the challenges ahead. On ‘what challenges we will need to overcome to make this vision a reality’ asked by the Co-Chairs, CARICOM said “the easy answer to this question is means of implementation and a renewed global partnership. These are indisputably critical to support sustainable development. Presently, we are revisiting the policy framework for financing for development that will be an essential component of the post-2015 development agenda”. CARICOM stressed that apart from financing, structural and inherent causes that affect LDCs or SIDS also need to be addressed. 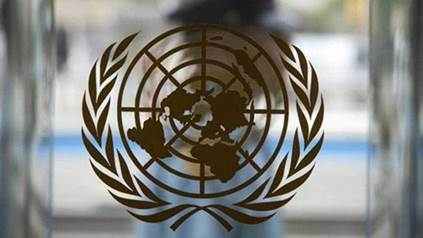 It asked for an agenda that can differentiate global responses for these particular cases and the globally agreed outcomes of the international conferences on the countries in special situations to form and be incorporated in the Declaration as an integral part of the whole post-2015 development agenda. CARICOM also highlighted the importance of global enabling environment and climate change and called for a “strong and rapid international response to climate change”. The latter, coupled with the volatility of the global economy and fiscal constraints, increase the inherent vulnerabilities in the SIDS. The Group stressed the need for building economic, environmental and social resilience as well as a strong regional and international enabling environment. Belize said that as SIDS, our countries are inherently vulnerable to external crises and shocks that have persistently constrained our development. Moreover, climate change, the volatility of the global economy and our own limited fiscal space due to high debt burdens further exacerbate these inherent vulnerabilities. Our sustainable development will therefore depend on building economic, environmental and social resilience. Maldives, on behalf of the Alliance of Small Island States (AOSIS), emphasised that the Declaration should be concise, visionary and ambitious to make the message meaningful and impactful. It expressed difficulty in using the term “simple” and reiterated the need for the Declaration to stress the complexity of the ambitious agenda. Regarding section 2, Maldives underlined that the 17 Sustainable Development Goals should provide the basis for the agenda. Further, the Declaration should articulate the political commitment to achieve these Goals within a 15-year period. It welcomed the recognition of the needs of countries in special situations and noted the need to build resilience, including to environmental shocks and degradation, and towards building the productivity and resilience of oceans and marine ecosystems. On section 3, AOSIS pointed out the need to mobilise and deliver adequate, sufficient and predictable MOI. It stressed that the Global Partnership can only be realised through an inclusive dialogue anchored in national ownership and empowered through partnerships based upon mutual collaborations and ownership, trust, alignment, harmonisation, respect, accountability and transparency. The UN system and the international community also need to support developing countries, in particular the SIDS, in strengthening their national institutions so that their national institutions can become implementing agencies, it said. The group supported the Elements Paper on the framework that is accountable, in particular, to the needs of countries in special situations. The Declaration must affirm that SIDS such as the PSIDS remain a special case for sustainable development in view of their unique and particular vulnerabilities. It asked that the priorities of SIDS in the S.A.M.O.A (SIDS Accelerated Modalities of Action adopted in 2014) be incorporated into the Post-2015 Agenda. The group also reiterated its support for the Goal on Climate Change and asked that all elements of the Post-2015 Development Agenda including the Declaration integrate gender perspectives. Egypt, speaking in its national capacity, said that the Declaration “should be concise, ambitious, recognise that poverty eradication is the overarching objective and is an indispensable requirement for sustainable development; build on the principles expressed in the outcome document of the Rio+20 particularly the Principle of Common but Differentiated Responsibilities (CBDR)”. Egypt suggested that the Declaration should recognise “the importance of providing the necessary MOI for the implementation of the Agenda, noting that achieving the transformative and ambitious agenda requires increasing ODA commitments to 1% of GNI”. It specifically mentioned issues related to sustainable consumption and production, commitments on terrorism, and the rights of people living under occupation to self-determination. Brazil provided specific critique of the Elements Paper and suggested that “consensus will be easier if we stay the course and avoid changing language and concepts that are the building blocks of our road towards a successful and transformational outcome for the Post-2015 Development Agenda”. It said that the Elements Paper does not reflect the fundamental goals, established by our heads of states and governments in Rio, of poverty eradication, changing sustainable consumption and production patterns with developed countries taking the lead, and promoting the sustainable management of the natural resource base of economic and social development. Brazil said that “as decided by the General Assembly, the Open Working Group report shall be the main basis for mainstreaming the SDGs into the Post-2015 Development Agenda. Brazil insists that all documents for the September summit preserve the priorities, political balance, and conceptual formulations of Rio+20 and the OWG Report”. On the S-G Synthesis Report, Brazil said that “the six elements … are an interesting concept we could constructively try to work with, to the extent that they do not change or reinterpret the OWG agreed outcome”. In particular, Brazil suggested a set of not six but four elements – a smaller set of four, such as “people”, “prosperity”, “planet” and “partnership”. It suggested that there must be commitment to conclude the “unfinished business of the MDGs, carrying over for this purpose the sum total of ODA unmet by donors, in addition to new and additional resources”. 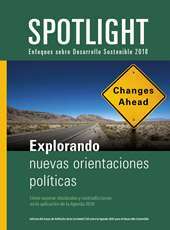 Brazil underscored how the SDGs represent a paradigm shift for the UN Development System, mainstreaming the concept of sustainable development and making it universal and applicable to all, while taking into account the different capacities and responsibilities of countries, in accordance with the principle of CBDR. The political declaration also cannot shy away from a renewed commitment of leaders to promote more legitimate and representative institutions of global governance, capable of responding better to the increased complexities of today’s interdependent world. India said that “the very first principle for the crafting of the Declaration is the need to fully respect agreed principles and notions that have been endorsed by member states in recent years and months”. India categorically stated that it saw no reason for the Rio+20 consensus outcome to be re-negotiated. “Of the Rio principles, of particular importance is the principle of common but differentiated responsibilities, which is rooted in a vision of our shared and common responsibilities, while calling for differentiation in action. Speaks as it does of equity in international relations, the principle of differentiation is not only not in contradiction to the notion of universality, but in fact complementary to it,” India pointed out. It also asked that rather than selective mention of today’s challenges in the Elements Paper, “global consensus on the common challenges confronting the world is encapsulated in the SDGs themselves” and should be retained. “The holistic and comprehensive canvass of the SDGs is the collective vision to which all of us now need to work on for the next 15 years. This must be a core message of the Declaration,” according to India. The six elements suggested in the S-G Report need more discussion, India argued, and supported Brazil’s proposal of four elements (mentioned above). China said that “the Declaration should be based mainly on the ‘Rio+20′ Outcome Document and the preambular paragraphs of the Report of SDGs, [and] elaborate on the significance of the Post-2015 Development Agenda”. It added that “the Declaration should reiterate the purpose and principles of the Charter of the United Nations, ‘Rio Principles’ and other important principles of international development cooperation, particularly those guiding principles such as respecting diversity of development models, ‘common but differentiated responsibilities'” while “the agenda should be flexible enough to take into consideration differences in national circumstances, capacities and stages of development while respecting their development policies and priorities”. It further said that the six elements proposed by the synthesis report of the SG lack consensus among member states, and deserve further discussion. The Declaration should reflect the international consensus on development issue, and avoid any deviation from the theme of development by inclusion of too many irrelevant issues. It also added that the Declaration should reflect the international community’s political will on creating a fair, open and orderly international economic environment. The Declaration should enhance global partnership for development and its means of implementation, China underlined. “The international community should strengthen more fair and balanced global partnership for development, with inter-governmental North-South cooperation serving as the main channel. South-South cooperation and Private Sectors are complementary. Developed countries should honour their ODA commitments, and establish and improve mechanisms for technology transfer to support capacity building for developing countries,” China said. The European Union argued that the elements paper still singles out Rio Principle 7 on CBDR, which was designed in the context of global environmental degradation, and as such cannot apply to the entire agenda. In addition, the world has changed dramatically over the last decades, including our respective capabilities to address global challenges. The post-2015 development agenda needs to respond to these evolving dynamics, in light of different national circumstances. The EU reiterated the importance of building peaceful and inclusive societies, strengthening institutions, promoting the rule of law and good governance. The EU also spoke of issues in which there are still difficulties. It noted that the new Global Partnership must mobilise all actors and resources, at all levels. It must be clear that the agreement in Addis (on financing for development) would then be integrated into the September outcome and result in one single framework, it said. The United Kingdom aligned with the EU statement and also noted that the Declaration needs to explain, in a clear and simple way, what the post-2015 agenda is actually about. “In this regard, something like the Secretary-General’s six essential elements would be helpful to convey the key themes of our collective commitment and ambition, whilst preserving the balance of the OWG agenda, including our commitment to justice and peaceful societies”. The UK mentioned human rights, and that rule of law, peace and security, strong and accountable institutions, dignity, equality, empowerment and democratic governance are universal values to which we all adhere. It stated its commitment to a new global partnership that harnesses the dynamism and expertise of all sustainable development actors, including the private sector and civil society. Germany, echoing the EU position, noted that CBDR as set out in Rio Principle 7 in 1992 cannot apply as an overarching principle to a holistic agenda. Rio Principle 7 has a clear limitation to environmental degradation. Germany also stressed on the need for an effective communication tool as suggested by the S-G in his synthesis report. On MOI, Germany said that a “new global partnership for sustainable development is not only about MOI but an overarching concept based on the guiding principles of universality, shared responsibility, mutual accountability, consideration of respective capabilities, and the adoption of a multi-stakeholder approach – principles valid for the entire agenda”. Japan underlined that the paragraph on the principles and values should only refer to those that have universal and overarching nature. It suggested the adoption of the six elements as suggested in the S-G’s Synthesis Report. Cherry-picking part of them, re-organising or reshuffling them would undermine the integral nature of SDGs and would lead to a reopening of the controversial issues, it said. Japan welcomed paragraph 9 which strikes the good balance between the universality of the agenda and the differences in capacities to cope with the challenges according to country. “Our life would have been much, much easier, if CBDR meant this, which is not the case,” Japan said. It welcomed the reference on the multi-stakeholder global partnership in paragraphs 12 and 15. Note: This is the first part of a two-part article. Read the second part here. By Ranja Sengupta and Mirza Alas. SUNS #7976 Friday 6 March 2015. Data & Development: Reality check for Post-2015 agenda? Investing in the SDGs: Whose Business? Next story ¿Los impuestos pueden ser la respuesta?